The idea for the Public Halls goes back to the mayoralty of Eli Heyworth, in 1885 to 1899, when there was a proposal to build a large public hall near to the Town Hall, and a police station and courthouse on a site in Blakey Moor and Northgate, which was covered with houses of very poor character, some of which had been classed as uninhabitable as long ago as 1875. Inside King George’s many original features have been retained, including much of the original feature plaster work. In the main auditorium not only has all the original plaster work been retained, but also the magnificent Art Deco house lights. 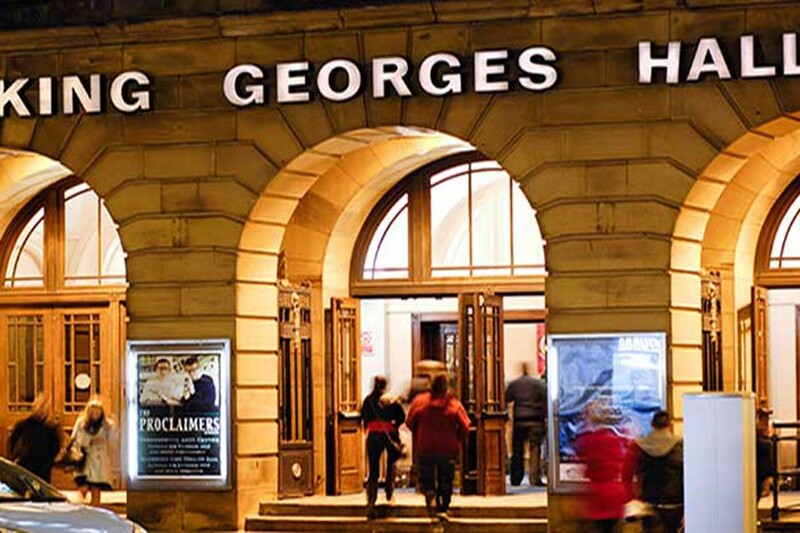 All these original features have been retained thanks to the sympathetic renovation programme carried out in 1994, and today King George’s Hall tastefully combines the grandeur of its theatre tradition, with the modern technology and facilities that today’s productions require.